Co-Lab Ltd (Workspace, We or Us) owns and/or controls the website at www.letscolab.co.uk and related Workspace domains (together, the Site). You are a visitor to or a registered user of the Site. By accessing the Site, you confirm that you accept these terms and that you agree to comply with them. If you do not agree to these terms, please refrain from using the Site. (c) By using the Site you confirm you accept the terms of these policies. All copyright, trade marks, design rights, patents and other intellectual property rights in and on the Site are owned by Co-Lab Ltd or its licensors. Reproduction of part or all of the contents of the Site in any form is prohibited other than for personal use or internal business use only and may not be reproduced or shared with a third party. All copyright notices in the original material must be retained. The Site may not be modified, disassembled, decompiled or reverse engineered in any way for any commercial purpose. Reproduction for personal and internal business use does not permit incorporation of material or any part of it in any other website, electronic retrieval system, publication or any other work (whether hard copy, electronic or otherwise). (c) any content of any other website referred to or accessed by hypertext links or otherwise through this website (Third Party Site). Nothing in these terms excludes or limits our liability for our fraud or fraudulent misrepresentation, or any other liability that cannot be excluded or limited by English law. Workspace shall not be liable for any damages, losses, expenses, costs or liabilities (whether direct, indirect or consequential) resulting from the use of, access to, or reliance upon the information contained in or available through the Site. Workspace shall not be liable for any loss or damage caused by a virus, distributed denial-of-service attack, or other technologically harmful material that may infect your computer equipment, computer programs, data or other proprietary material due to your use of the Site or to your downloading of any content on it, or on any website linked to it. Workspace does not warrant that functions, materials and information available on the Site (and/or linked to the Site) will be uninterrupted or error free or that defects will be corrected. Co-Lab may suspend, withdraw, discontinue or change all or any part of the Site without notice. Co-Lab will not be liable if for any reason the Site is unavailable at any time or for any period. You are responsible for implementing sufficient procedures and virus checks (including anti-virus and other security checks) to satisfy particular requirements for the accuracy and security of the data input and output. You are responsible for making all arrangements for you to have access to the Site and any charges associated with such access. (a) In any way that breaches these terms, any applicable local, national or international law or regulation. (b) To send, knowingly receive, upload, download, use or re-use any material which does not comply with these terms. (e) In any way that interferes with another user’s use and enjoyment of the Site or in any other manner that could damage, disable, overburden or impair the Site. (iii) Comply with applicable local, national or international law or regulation. (iv) use personal information about other users, including but not limited to their names, email addresses, and postal addresses, except with their express consent. You warrant that your use of a feature that allows you to upload content to our Site and/or communicate with other user complies with the Standards, and you will be liable to us and indemnify us for any breach of that warranty. Any content you upload to our Site will be considered non-confidential and non-proprietary. You retain all of your ownership rights in your content, but you grant us a perpetual, worldwide, non-exclusive, royalty-free, transferable licence to use, store and copy that content and to distribute and make it available to third parties. We have the right to remove any posting you make on our Site if, in our opinion, your post does not comply with the Standards. We are not directly involved in the discussions or transactions between users, and do not provide any assurances that any user will fulfil their obligations to other users. The actions of other users are their own, and we do not support, endorse or join them. Links to the Site does not imply that any linked site is authorised to use any of our trade marks, trade names, brands, logos or copyright symbols or those of any of our affiliates or licensors. You must ensure that any links to Site which you create are from websites which comply with the Content Standards set out in Section 5. You must not frame any portion or pages of the Site on any other site. You must be 18 or over to register for the Site. You will be required to provide information about yourself when you register. You warrant that this information is true, accurate and complete. You are required to provide a proof of identity e.g. passport / Drivers Licence and a proof of address recent bank statement / utility bill. At our discretion we may refuse to register you. As part of the registration process, you will be asked to select a username and password which you must keep confidential. (d) Using any technological, legal, operational or other means available to enforce these terms. We exclude liability for actions taken in response to breaches of these terms. The responses described in clause 8.1 above are not limited, and we may take any other action we reasonably deem appropriate. You can terminate your account at any time by following the process set out here. This will, where applicable, remove your profile and other personal information from view and prohibit you from accessing the Site as a registered user. Once your registration is terminated, we will have the right to delete your account. All sections which, by their nature must survive, will survive any termination of your use of the Site. These terms are subject to change from time to time without notice so should be checked regularly. Continued use of the Site will be deemed acceptance of the updated or amended terms. If there is an inconsistency between any of the provisions of these terms and conditions and the provisions of any other terms and conditions you may be bound by, the provisions of these terms and conditions will prevail. www.letscolab.co.uk is owned and operated by Co-Lab Ltd.
Our registered office is at 24A Nottingham Road, LE111EU. Your booking is confirmed once full payment has been received. Non-payment prior to the event will result in access denied. The fee is the total cost of the meeting room hire and must be paid prior to the event date. Payment is to be paid using a debit or credit card. We do not accept cash or cheque. You may be able to use your meeting room allowance credit to book your meeting room. Should your meeting run over and you wish to extend your booking, you may notify the site team to request an extension. You must pay the additional cost at the end of your meeting, before you leave the premises. Additional payments must be paid using a debit or credit card. We do not accept cash or cheque. We reserve the right to cancel any future bookings made by you if you have any outstanding payments on your account. i) Agents booking on behalf of a client must disclose the name of the company they are working with. The agent confirms he or she has the client’s approval and holds the appropriate authority to make the booking on behalf of the client. Without the necessary approval and authority of their client, we will not be obliged to honour bookings made by agencies. ii) Agents booking on their own account must disclose the name of the company the booking corresponds to. Agencies must accept full legal responsibility for the total booking fee if the company declines to honour the booking. If you cancel or fail to use the booking, you will be liable for 100% of the total booking fee unless done so one hour in advance. No refunds will be given for failure to use the booking. We hold the authority to transfer bookings to alternative rooms of similar price, size and quality in the event the original room is inaccessible. You must not participate in any illegal activity or create nuisance that causes disruption to other customers in the building. You must provide advanced warning of any unusual activities taking place within the rooms prior to booking. Failure to so could result in access denied if the activity is deemed unsuitable for the space. We will not be liable to refund the cost. You are responsible for any damaged caused to the space or equipment during your booking. Any damage caused by you or your guests will be chargeable. Charges will be based on i) the cost of repair and ii) the subsequent loss of business suffered by us. You are responsible for anything you leave unattended in the room. We do not take responsibility for any items lost or stolen during your booking. Food purchased externally may be brought onto the premises for consumption. You are responsible for discarding waste brought in to the room from external food purchases. 1. These Terms and Conditions apply to your membership of Co-Lab work space, a range of services provided by Co-Lab Ltd). ‘Member’ and ‘Members’ refer to you and to other Co-Lab Members. 2. 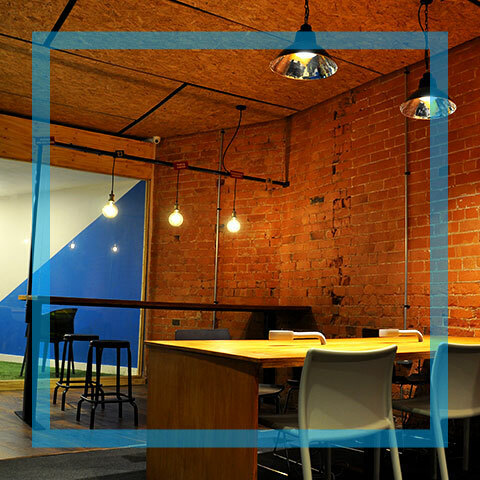 The Co-Lab Ltd office space objectives are to provide flexible, shared office or working environment for individuals or small teams seeking a temporary venue in a congenial, professional business environment. Nothing in these terms and conditions confers any security of tenure or other right of exclusive possession or rights of occupation on a Member. 3. Co-Lab membership entitles you to be issued with an office space membership code. Access to Co-Lab space area is gained by signing in with the membership code at the reception. 4. office space membership entitles you to use the areas within the participating Co-Lab office space which have been specially designated for Members. A list of the participating office space may be found on the dedicated part of the website: www.letscolab.co.uk. Nature of this agreement and relationship of the parties. 5. Co-Lab Ltd is by these terms and conditions granting anyone who becomes a Member and who abides by these terms and conditions of Membership the right to use the temporary, flexible office space provided for permitted purposes. The purpose of the agreement comprised in these terms and conditions is the provision by Co-Lab Ltd of the Services to Members. 6. The whole of the office space occupied and used by Co-Lab Ltd Members remains the property of Co-Lab and remains in Co-Lab’s possession and control. Nothing in these terms and conditions shall create as between Co-Lab Ltd and any Member, or any Members, or any additional named Team Room user, or any other person or entity (whether corporate or otherwise), the relationship of landlord-tenant or lessor-lessee. Nothing in these terms and conditions shall create or confer upon any Member or Members or any other person any security of tenure, any tenancy, any leasehold estate, or any other legal or beneficial real property interest. Nothing in these terms and conditions shall grant or be construed so as to grant to any Member, or any Members, or any other person, any title, easement, lien, right of possession or related rights in the business and undertaking of Co-Lab Ltd, or in or related to the premises or office space used or occupied in the course of providing the Services. 7. office space membership entitles you to use office space areas between the hours of 9.00 am and 6.00 pm on any working day but opening hours may vary from location to location and Members should check the dedicated section of the Website. Use of the designated office space areas is subject to the terms of your membership package (including any terms as to reasonable use) and will be charged for on a monthly basis. 8. Co-Lab office space membership entitles you to the use of free internet access and refreshments facilities where they are available, which are listed in the relevant section on the Website. Opening hours may be found at the appropriate section of the Website. Any use of free facilities must be fair and reasonable. Co-Lab requires Members to comply at all times with the relevant provisions of the Act 2010 when using the free internet connection. 9. In the event that Co-Lab experiences any issues with the provision of internet service (whether temporary suspension or otherwise) Co-Lab will not accept any liability or be held responsible for any loss or damage whatsoever which may be occasioned to a Member as a result of the occurrence of such issues. This limitation and exclusion of liability and responsibility shall apply however such loss or damage may arise whether directly or indirectly and the Member waives any right to make any claim whatsoever against Co-Lab. 10. Co-Lab Ltd dedicated membership entitle to print 10 pages per day and hot-desking members 5 pages per day for free. Charges must be paid for in advance in accordance with the current monthly charge rate and is subject to the limitation that such use must be fair and reasonable as to time taken and the number of pages processed. Monthly copying, printing and scanning charges paid but unused will not be refunded. 11. In the event that Co-Lab experiences any issues with the provision of the copying, printing and document scanning facilities (whether temporary suspension or otherwise) Co-Lab Ltd will not accept any liability or be held responsible for any loss or damage whatsoever which may be occasioned to a Member as a result of the occurrence of such issues. This limitation and exclusion of liability and responsibility shall apply however such loss or damage may arise whether directly or indirectly and the Member expressly waives any right to make any claim whatsoever against Co-Lab in connection with of any such loss or damage. 12. office space membership entitles you to the use of a locker (‘the Locker Service’), subject to availability. All Locker Service charges are payable in advance for an initial period of not less than one calendar month. 13. Unless otherwise terminated by Co-Lab Ltd, the Locker Service will be terminated upon a Member giving notice to Co-Lab Ltd. In the event that a Member fails to remove property from the locker at the end of any Service period or allows Service charges to fall into arrears then Co-Lab Ltd shall have the right to remove and dispose of any such property. Co-Lab Ltd shall be under no obligation to notify a Member of any such removal and disposal and shall incur no liability to any Member or any other person for any loss or damage (however it may arise) which the Member or any other person may sustain as a result of such removal or disposal and the Member expressly waives any right to make any claim whatsoever arising out of or in connection with any such disposal whether for the value of the property disposed of or otherwise. Property removed from a locker in such circumstances will be stored and available for collection for a period of not less than 7 working days after which period it will be disposed of. 14. Lockers are available to named individual members only and are not offered for corporate use. Lockers are not provided as a long term storage facility. Padlocks will be provided free of charge by Co-Lab and only Co-Lab padlocks may be used on lockers. Members will incur a charge for any replacement padlocks. Padlocks must be returned at the end of any Locker Service period and if not returned will incur a charge. Lockers must remain locked at all times apart from those occasions when property is being deposited or removed. Co-Lab Ltd accepts no liability whatsoever for the safety or security or for the loss of (including by theft) or damage to any property stored in any locker. Members accept that when using such facilities their goods are stored at entirely their own risk and it shall be Members’ responsibility to insure against the risk of loss, theft or damage to their property. Lockers must be used in a manner consistent with the office space objectives set out in these terms and conditions and Co-Lab Ltd reserves the right to open (including by force) any locker and to inspect and/or remove the contents of any locker if or when it suspects it is being used in contravention of the same and shall have the right to draw the contents of any locker to the attention of any relevant authority should it deem it appropriate to do so. 15. Your Desk may be booked by a Member in the reception. Your Desk Service charges are payable one calendar month in advance. The Your Desk Service charge is made for periods of not less than one calendar month. Any such dedicated desk will be for the exclusive use of the Club Member who has booked it and will consist of a lockable desk or a pedestal. 16. In the event that a Member fails to remove property from the dedicated desk at the end of any Your Desk Service period or allows Your Desk Service charges to fall into arrears then Co-Lab Ltd shall have the right to remove and dispose of any such property. Co-Lab Ltd shall be under no obligation to notify a Member of any such removal and disposal and shall incur no liability to any Member for any loss or damage (however it may arise) which the Member may sustain as a result of such removal or disposal and the Member expressly waives any right to make any claim whatsoever arising out of or in connection with any such disposal whether for the value of the property disposed of or otherwise. Property removed from a dedicated desk will be stored and available for collection for a period of not less than ten working days after which period it will be disposed of. 17. Co-Lab Ltd membership charges are payable in advance by direct debit or by credit/debit card where the Member has an online account. Current membership charges may be found on the Website in the dedicated the office space section under ‘Membership Packages’. Failure to pay or late payment of membership charges or other charges may result in Co-Lab Ltd terminating membership. Co-Lab Ltd reserves the right to take appropriate steps to recover arrears. 18. Co-Lab Ltd members are required to pay £150 deposit in addition to the monthly charge depending on the package. 19. Payment for any other Service(s) provided to Members will be in advance by credit card by direct debit as advised at the point of ordering or booking the Service(s). 20. Co-Lab Ltd is not obliged to refund any amounts for a period when membership is unused except if Co-Lab Ltd elects to terminate a Member’s membership for any reason or if there has been payment in advance for a Service which is withdrawn prior to use by a Member. 21. Office space membership may not be transferred or assigned. Alterations to these terms and conditions. 22. Co-Lab Ltd may at any time alter these terms and conditions and the packages of Services offered and may also alter the level of membership charges and Service charges applicable to office space membership and the Services. Prior notice to Members of any such alterations will be provided to the Member not less than 14 days before any such alterations, including alterations to membership charges, come into effect. By agreeing to these terms and conditions and by continuing to use the Services or any of them, Members accept that it is their obligation to check the Co-lab website for alterations and agree to be bound by them. 23. Co-Lab Ltd undertakes that, in performing its obligations, it shall comply with the provisions of the Data Protection Act 1998 (‘DPA’) and all other applicable laws relating to the processing of Personal Data as defined by the DPA. 24. Co-Lab Ltd collects and processes Members’ personal data for administrative purposes only. Co-Lab Ltd takes no interest in or responsibility for the legitimate business or other associated activities of Members (provided those activities are within the authorised range of activities contemplated and permitted by these Terms and Conditions) whilst on its office space premises.